This is your path to the perfect turkey. It starts with a flavorful spice rub of fennel, chili, orange, and rosemary. 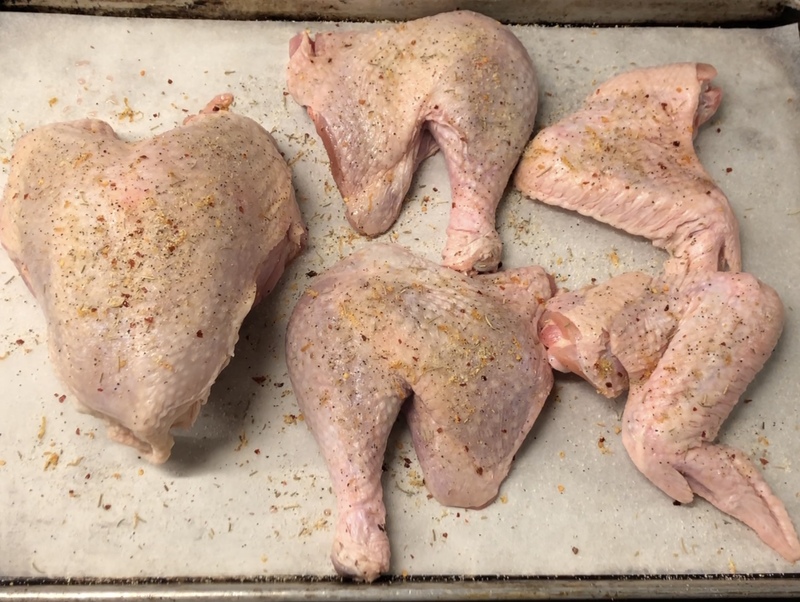 Then the breast and legs get bagged and cooked separately- but both are cooked bone-in so you can still pull off a perfect presentation. There is some effort involved here but the results are totally worth it because your friends and family will all walk away from the talking about the most delicious turkey they have ever tasted. 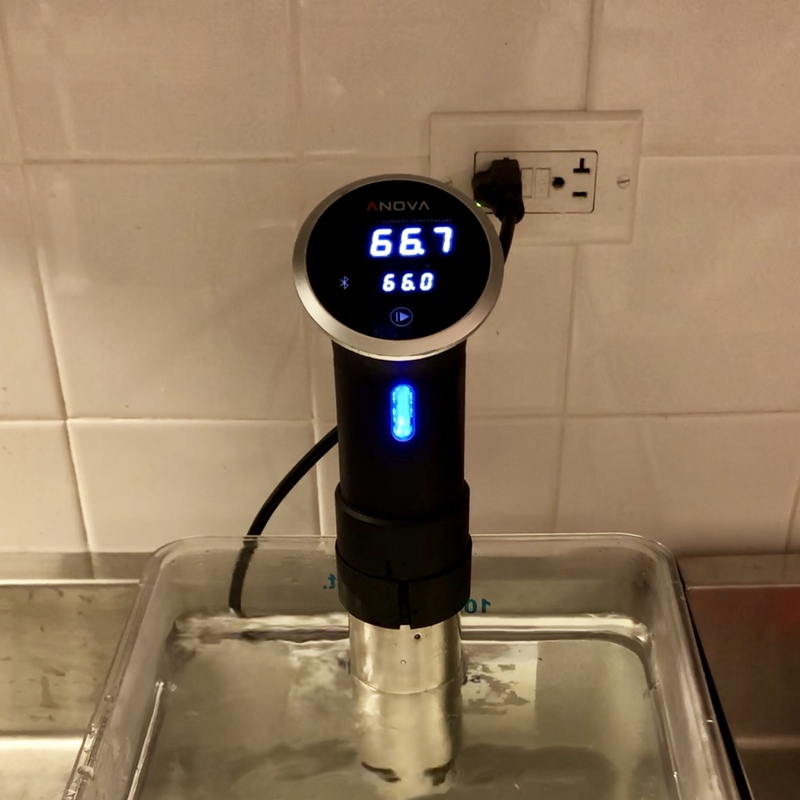 Set Anova Sous Vide Precision Cooker to 151°F / 66°C. 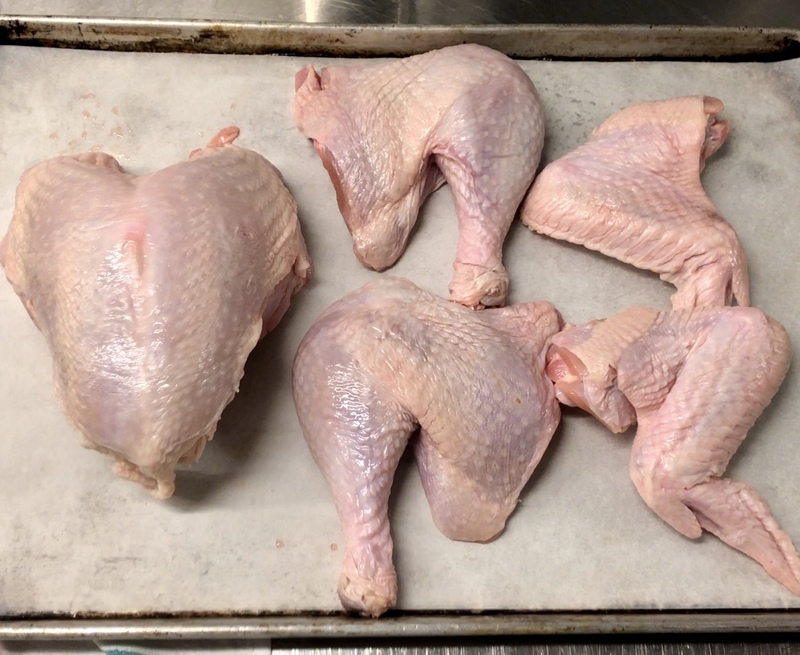 Remove the legs from the turkey by cutting through the thigh joint, leaving the thigh and drumstick attached. Next, cut through the ribs to remove the backbone, leaving the remaining bones in the breast. 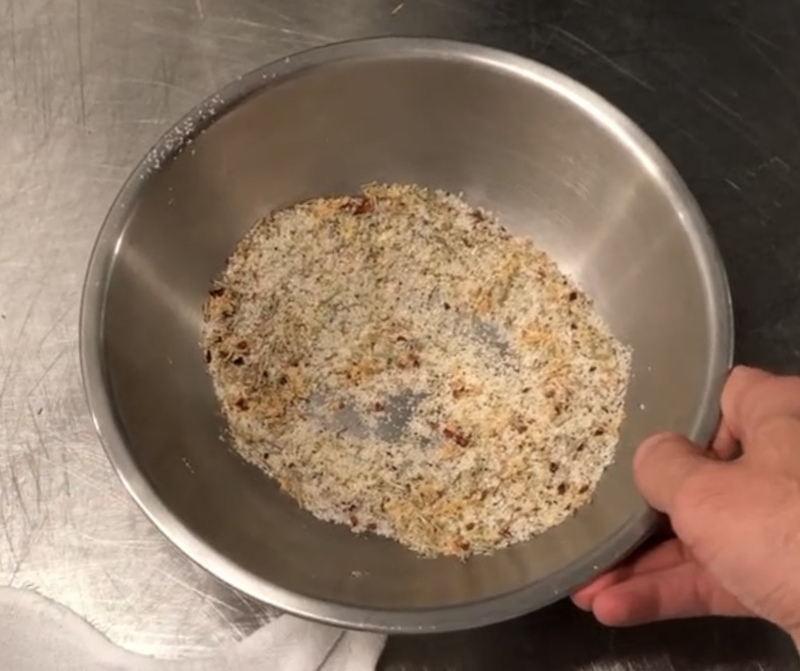 To make the dry brine, combine the salt, sugar, garlic, fennel, rosemary, red pepper flakes and orange zest I a bowl and mix well. Season the all of the pieces with generous amount of the dry brine on both sides (you may not use it all). Place one leg and one wing in each of two large, gallon-sized zip top bags. Place the turkey breast into a large, gallon-sized zip top bag and refrigerate while the legs cook. Fill a large pot or bowl with room temperature water and lower the open zip top bag into the water. The water pressure will push the excess air out of the bag. When the top of the bag reaches the level of the water, seal the bag. 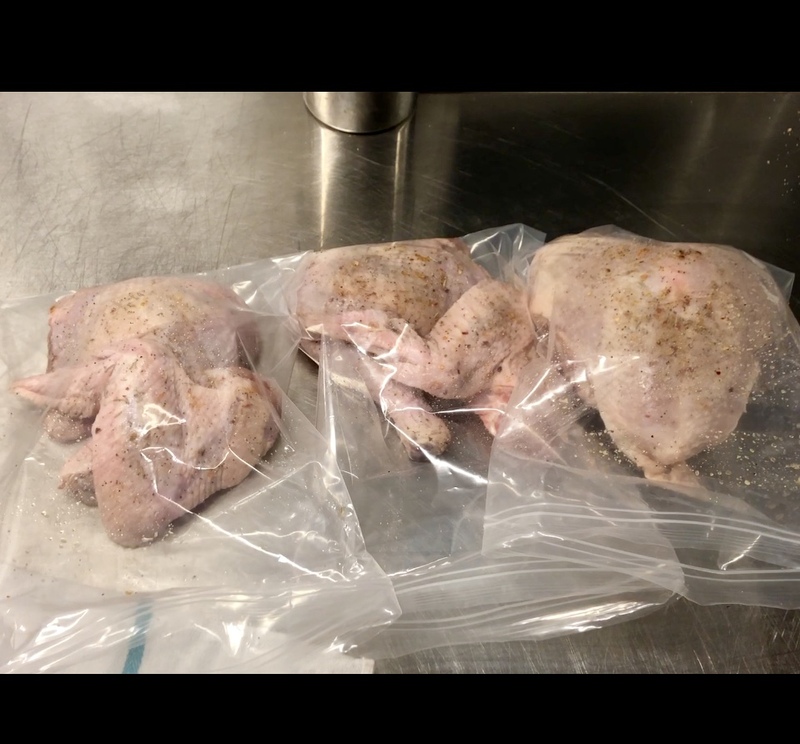 Transfer the sealed bags with the wings and legs to the preheated water bath and sous vide for 6 hours. Remove the bags and cool immediately in an ice bath. When chilled, transfer to the refrigerator and store up to 7 days before serving. Reduce the water bath to 143.5°F / 62°C. Fill a large pot or bowl with room temperature water and lower the open zip top bag containing the turkey breast into the water. The water pressure will push the excess air out of the bag. When the top of the bag reaches the level of the water, seal the bag. 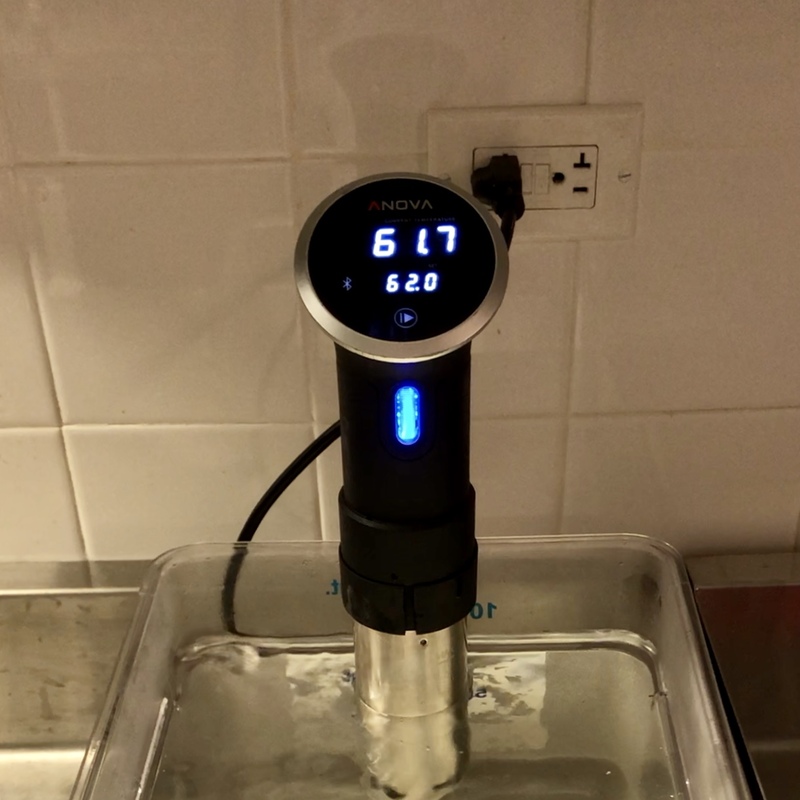 Transfer the sealed bag to the 143.5°F / 62˚C water bath and sous vide for 4 hours. Add the chilled turkey legs to the bath and cook 40 minutes longer to reheat to serve simultaneously. If not serving immediately, remove the bags and cool immediately in an ice bath. When chilled, transfer to the refrigerator and store up to 7 days before serving. 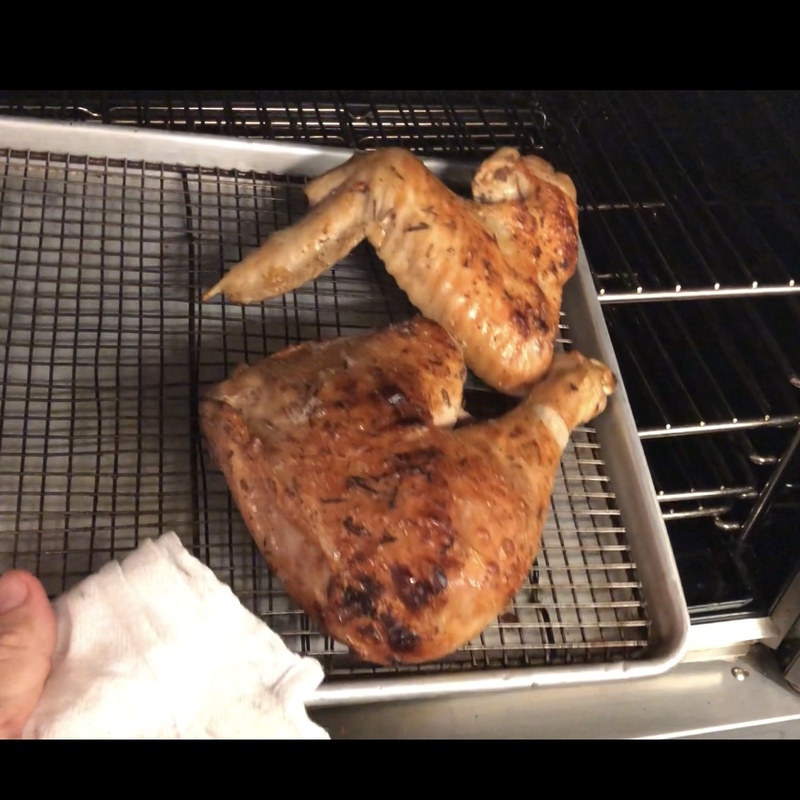 When ready to serve, heat a water bath to 62˚C (143.5˚F) and add the sealed bags of breast and leg to the bath and leave 40 minutes to reheat. To serve, fill a large sauté pan with canola oil, and heat over high heat until smoking. 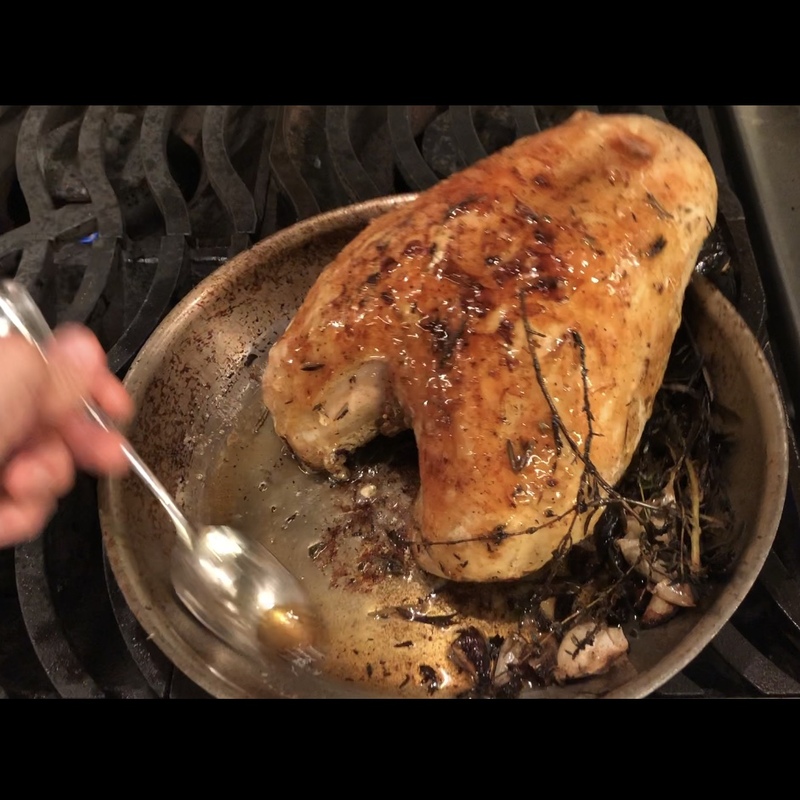 Sear the breast on the skin side, then turn and baste with butter and herbs (such as thyme, sage, rosemary). OR, finish by heating the oven to broil and arrange the turkey pieces on a baking pan and place on the middle rack under the broiler under golden brown. 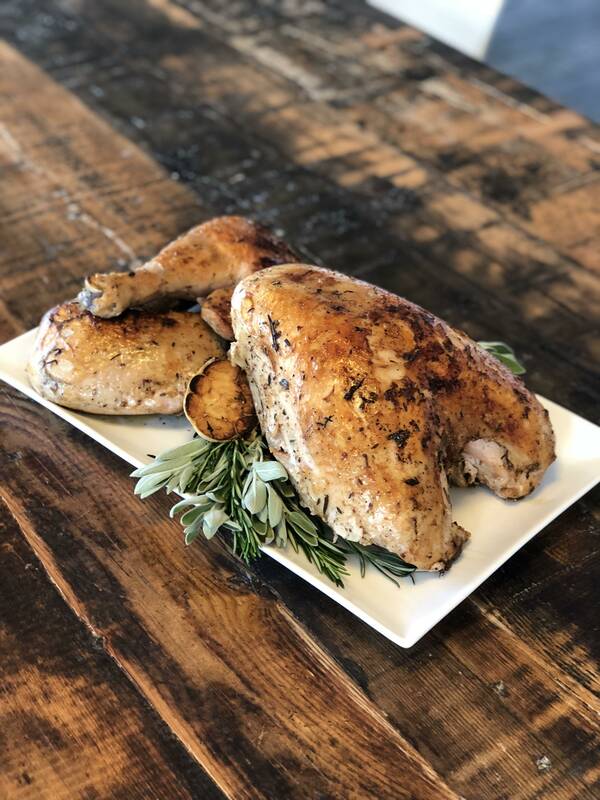 Carve that turkey up and enjoy the best turkey dinner ever!